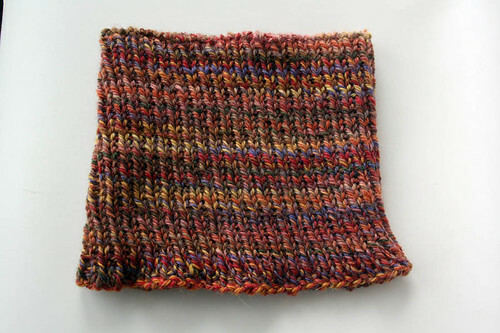 Here is another of my finished objects, a cowl for R: winter is approaching and cicling around can be cold! It's knitted in Patons Australia Jet, casting on 90 stitches with 4.5 mm needles. It's going to be warm, and luckly R liked it!